WHERE REAL ESTATE INVESTING WORKS! Whether you’re thinking about starting a career as a real estate investor or you’re an existing investor who wants to transition from homes to commercial real estate investment or take your career to the next level, you’ve come to the right place. Our real estate investing group is uniquely different. 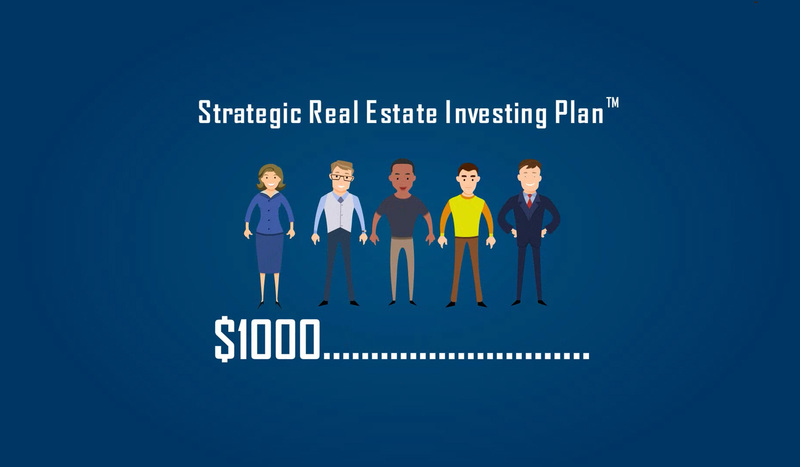 Most real estate investment programs encourage aspiring real estate investors to attend seminars, watch videos, or read books, without providing any ongoing guidance and support. AZREIANET is different—we’ve developed a network of real estate professionals and individuals who are serious about becoming real estate investors. Our team works together to uncover lucrative real estate opportunities that benefit everyone involved. First things first; let’s go over some basics. Meet with a Realtor-Consultant to determine if real estate investing suits your circumstances and goals, and if so join our network! Remember, once you identify a potential real estate deal you’re not on your own! Our network of professionals helps you analyze and navigate all the complexities of the process, from start to finish. You bring in prospective deals through your Sphere of Influence and then consult with the pros in your network group to close those deals. All parties involved get paid for their assistance, including you! So, if you join our network and bring someone in, you get $1,000. This referral system is unheard of in real estate investing networks today, and it’s a big part of what makes AZREIANET so revolutionary! We are successful investors who know what it takes to succeed, and we share the essential ingredients for successful investing with our members. We have a developed network of hardworking everyday individuals in various trades and professions who bring deals to the firm. Our referral network pays members $1,000 for every person who joins the network under them. If you join our network and bring someone in, you get $2,000. AZREIANET provides real-world training—videos, eBooks, and webinars—that are lively and packed with actionable information. Your Strategic Real Estate Investment Plan (SREIP) is essential for success. It provides you with a clear picture of where you stand financially and helps you understand your tolerance for risk. It also helps you understand your strengths and weaknesses at the outset, so you can plan accordingly. The questions you’ll answer as part of your SREIP will help identify any credit issues you have or investments that aren’t performing well so we can counsel you on how to remedy those issues. Your SREIP also helps you identify your best options for real estate investment based on your financial circumstances, tolerance for risk, and other factors. It also helps you identify your goals, whether it’s to develop a nest egg for retirement or to create current cash flow. Creating a solid SREIP is critical. It’s your personal business plan, and every business—regardless of industry—needs a solid plan in place. A solid SREIP is a key part of your overall strategy.